Chris has been actively involved in tennis since the 1970s. A PTR certified instructor for the past 25 years and a member of the PTR’s Team Head Coaches Program, Chris has served and continues to serve in a variety of roles in the tennis community at both local and state levels. A past recipient of the USTA EASTERN- High School Coach of the Year Award and the WKBW “Super 7” WNY Coach of the Year, Chris began his high school coaching career in 1981 at Royalton-Hartland. His boys’ varsity teams went 124-46 while winning five Niagara-Orleans League championships, and he is currently in his 17th year coaching at Medina High School, which has gone 149-53 in that time, winning six Niagara-Orleans League championships. He has also coached 14 N-O League singles champions. From 2004 through 2009, his Medina teams were the New York State Public High School Athletic Association Scholar Athlete State Champions for the highest team GPA in the state. He is currently in his 25th year as a member of the NYSPHSAA Section VI Boys’ Tennis Council and had, for several years, accompanied the Section VI representatives to the state championship tournament. From 1990 to 2010, Chris was a coach for the highly successful Western Region boys’ and girls’ tennis teams that competed annually in the Empire State Games. Currently in his 25th year, Chris was selected as the 2016-17 New York State Coach of the Year for boys' tennis by the New York State Public High School Athletic Association. He has also been elected by the 11 statewide sections to five consecutive terms as the NYSPHSAA Girls’ Tennis State Coordinator overseeing the sport for its over 700 member school districts. One of his main responsibilities in this capacity has been to conduct the state championship tournaments for singles and doubles. Throughout his career, Chris has also taught tennis privately and for various programs and clubs. Chris was a member of the staff at the St. Bonaventure University Tennis Camp from 1980-89. During the mid-1990s, he was the teaching pro for the Lockport Indoor Racquet Club and the Briarwood Tennis and Swim Club in Lockport. In the summers of 1997 and 1998, Chris was the assistant head pro at Wanakah Country Club. From 1989-2015, Chris was the tennis instructor for the Forrestel Farms Equestrian/Sports Camp in Shelby, NY, where he managed the tennis program and conducted private and group lessons for approximately 300 resident campers staying during the four two-week sessions. He has also conducted many summer community tennis programs for Medina. In the 1990s, USTA-Eastern asked Chris to coach for the USTA National Development Program Area Training Center in Buffalo, which he did for five years. He has also been involved with the USTA-Eastern chapter as a clinician, conducting many in-service training programs for physical education teachers in school districts in the Buffalo area, along with recreation program staff training clinics for suburban communities. During the 1990s, Chris was the tennis presenter for the New York State Games for the Physically Challenged annual statewide sports festivals held at SUNY-Brockport. He also conducted several wheelchair tennis clinics for this organization in conjunction with Canisius College. He served four years as the co-chairperson for the 1993 World University Games held in Buffalo. He was involved in both the preparation leading to the Games and the daily operations during the competition. Chris was the community tennis representative for the Western district of the Eastern section and was the subject of a USTA national membership magazine article focusing on his role in community tennis development. By virtue of his involvement in both organizations, Chris was designated a USTA-PTR National Clinician. 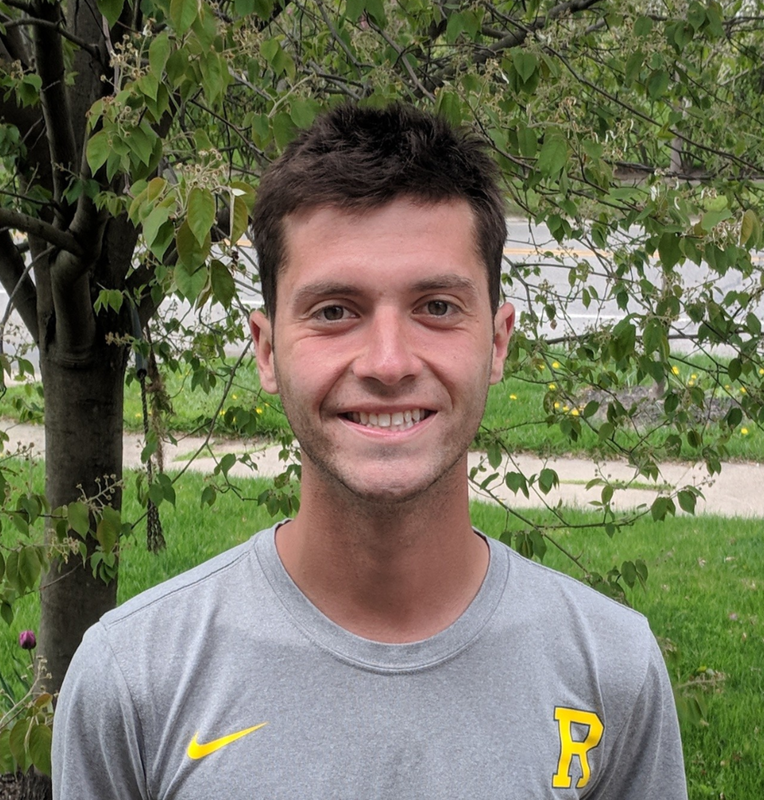 Back in the day when racquets were still made of wood, Chris was a four-year starter and captain for the Royalton-Hartland varsity tennis team and went on to play on the men’s team at St. Bonaventure University. After earning his BA in Social Science from St. Bonaventure University in 1978, Chris received his MA in Sociology from SUNY at Buffalo in 1980. Dual-certified in English and Social Studies, Chris began his teaching career in 1979-80 at Royalton-Hartland Central High School. While at Roy-Hart, he taught Global Studies and US History and Government and served as department chairperson. He has been teaching English at the Medina Central School District since 1995. He has served on multiple NYSED Regents test writing committees throughout his career. He has also taught sociology courses for SUNY at Buffalo and for Niagara University’s Senior Term Enrichment Program. Chris and his wife Patty reside in Medina, NY. They have four children who all enjoy playing tennis. Please contact Chris @ (585) 798-3193 or cphorgan@msn.com. Chris is a graduate of the University of Rochester, where he majored in political science and completed concentrations in computer science and creative writing. As an undergrad, he played club tennis while serving as an editor for the student-run newspaper, The Campus Times. During his high school career, Chris was a four-time first team all-league selection, and the individual league champion for three years, finishing in the top eight for the Section 6 Championship. He has assisted Coach Horgan with tennis clinics and is currently a volunteer coach with the Medina High School tennis team.